Yoga Wine Glass - Moar Stuff - You don't need it but you know you want it. 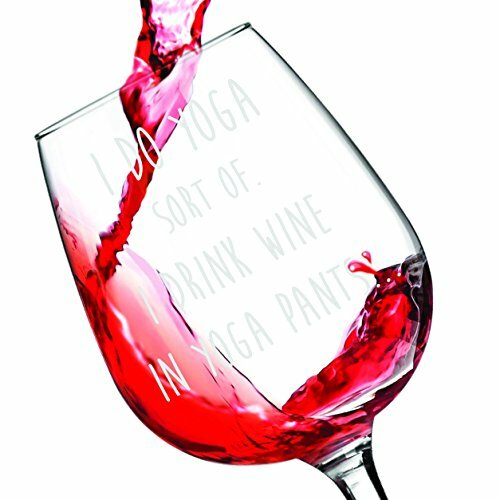 This Yoga Wine Glass is perfect for anyone who likes wine and the idea of doing Yoga but, just can’t seem to find the time. It has “I do yoga, sort of. 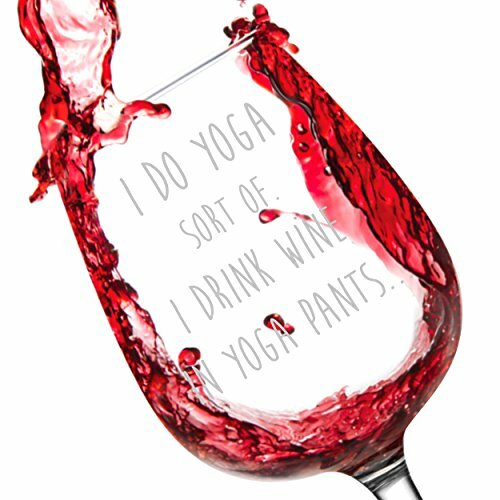 I drink wine in yoga pants” printed across it in big white letters. It holds up to 12.75 oz of your favorite wine and is even dishwasher safe for easy cleanup. It’s made of thicker glass than you would expect for a novelty wineglass so it will last. The packaging it arrives in is cardboard and has plenty of durable foam padding so it should arrive to your door safely. Overall, it’s a great gift and perfect funny gift for both wine and yoga lovers. Dimensions: 8.7 x 4.3 x 4.3 inches. Just have 3 or 4 of these filled with wine and you’ll be an Irish Yoga master in no time. Namaste.